“I consider that a man's brain originally is like a little empty attic, and you have to stock it with such furniture as you choose. A fool takes in all the lumber of every sort that he comes across, so that the knowledge which might be useful to him gets crowded out, or at best is jumbled up with a lot of other things, so that he has a difficulty in laying his hands upon it. 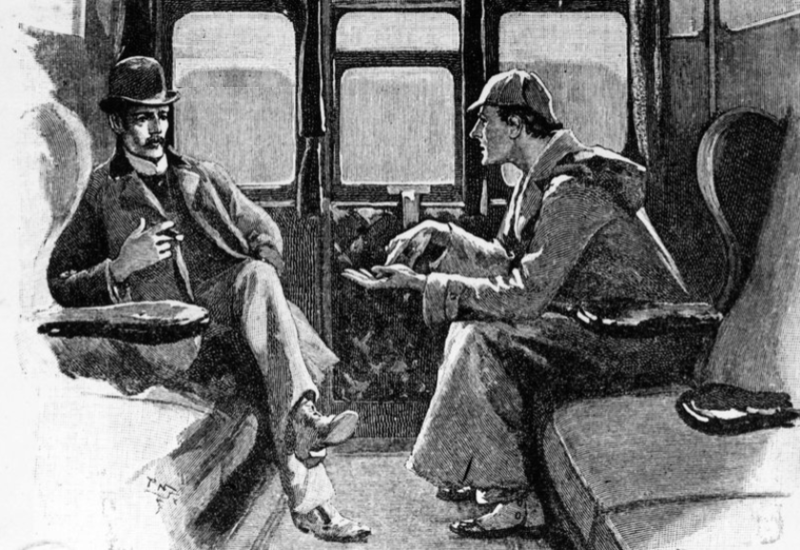 ~Sherlock Holmes, A Study in Scarlet, by Arthur Conan Doyle, 1887. Once upon a time, in pre-writing cultures, remembering was everything. A trained memory was not just a handy tool, but a fundamental facet of any worldly mind. How we perceive the world and how we act in it are products of how and what we remember. Some biologists suggest that most animal behavior is essentially a bundle of habits shaped by memories. To the extent that we as humans control our lives, we do so by gradually altering those habits, which is to say the networks of our memory. Our ability to meet and remember new people, to make connections between previously unconnected notions, to create new ideas, to share in a common culture: All these essentially human acts depend on memory. The present is a split second, so tiny and trivial as to be immaterial. forming the islands and continents of our reality. The brain is a mutable organ, capable—within limits—of reorganizing itself and readapting to new kinds of sensory input, a phenomenon known as neuroplasticity. Though there is disagreement about just how many memory systems there are, scientists generally divide memories broadly into two types: declarative and nondeclarative (sometimes referred to as explicit and implicit). Declarative memories are things you know you remember, like the color of your house, or what happened yesterday afternoon. 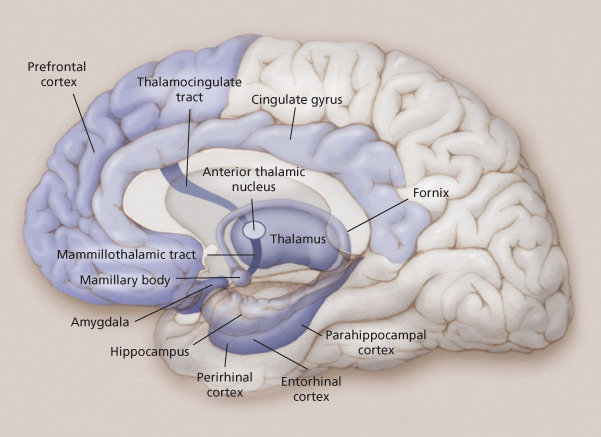 They seem to pass through short-term memory in the prefrontal cortex and create activity in the hippocampal region to be consolidated and stored. Within the category of declarative memories, psychologists make a further distinction between semantic memories, or memories for facts and concepts, and episodic memories, or memories of the experiences of our own lives. 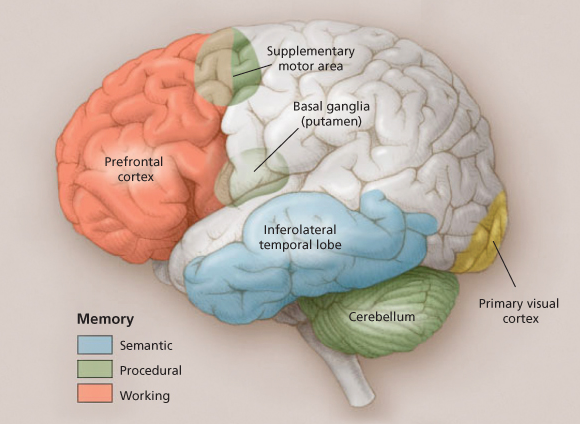 These two different types of remembering seem to make use of different neural pathways, and rely on different regions of the brain, though both are critically dependent on the hippocampus and other structures within the medial temporal lobes. Semantic memories are located outside of time and space, as free-floating pieces of knowledge. These can be concepts and calculation procedures, defined word meanings and number comprehension. Episodic memories are located in time and space. They have a where and a when attached to them. They are the foundation of remembered experience. Nondeclarative memories are the things you know unconsciously, like how to ride a bike or how to draw a shape while looking at it in a mirror (or what a word flashed rapidly across a computer screen means). 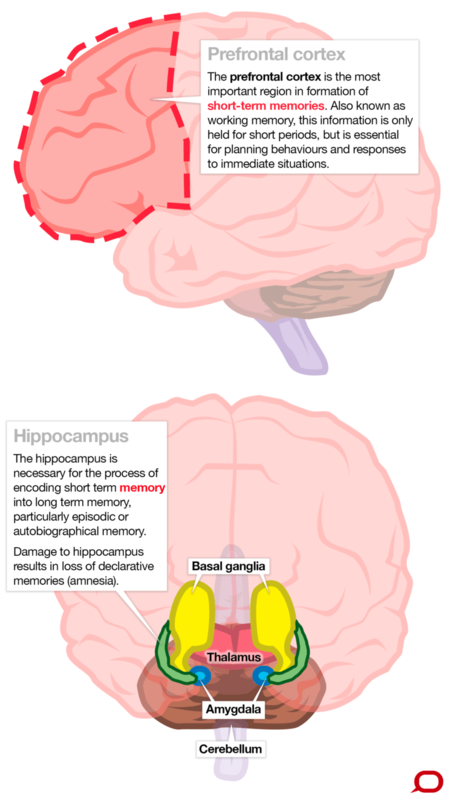 Those unconscious memories don’t seem to pass through the same short-term memory buffer as declarative memories, nor do they depend on the hippocampal region to be consolidated and stored. They rely primarily on different parts of the brain. 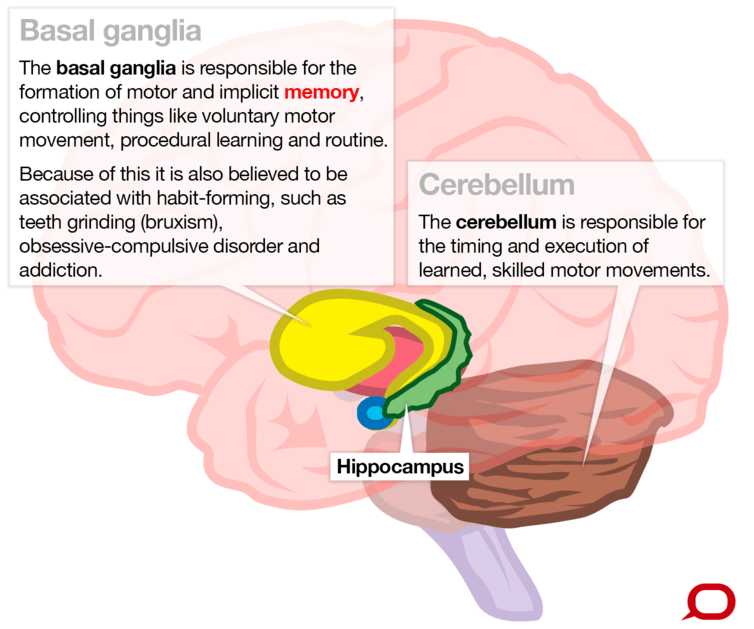 Motor skill learning takes place largely in the cerebellum, perceptual learning in the neocortex, habit learning in the basal ganglia.